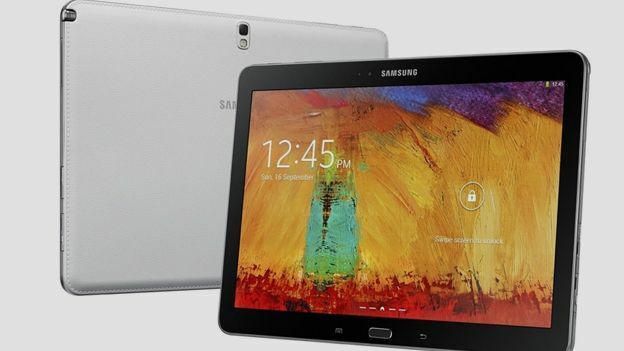 Samsung has a history of venturing outside the norm, hence why it comes as no surprise that the company is reportedly making an 18.4-inch tablet. That's according to an import document picked up by French tech site Nowhereelse, which lists various devices that are heading to India. Among the bunch is one device labelled “Sample Samsung Tablet PC”, which is noted as having a whopping 18.4-inch screen size. The document specifically says the device is “for testing and evaluation purpose and will be destroyed. Not for sale.” It could be that Samsung just isn't ready to launch it at this point or it's merely another experimental prototype, your guess is as good as ours. What is certain is that if it's actually in development, the tablet would be very much into niche territory. After all, an 18.4-inch screen is much bigger than anything that Samsung has made before. Still, for some commercial settings even this size could work. The tablets were being shipped from South Korea by Delhi Air Cargo, and are valued at £327 individually, and £2,288 for the whole batch. As much as we'd like to see it, we'd still take it with a pinch of salt as this is the first we've heard of any such device. While it would be a radical move, Samsung has a tendency to dabble in the weird and wonderful. It debuted a dual-curved screen on its acclaimed Galaxy S6 Edge, filed a patent for a flexible handset last year and is also said to be working on a ludicrous 11K smartphone display.